The Indy 500 race choose the 1980 Turbo Trans Am to pace the race in 1980. 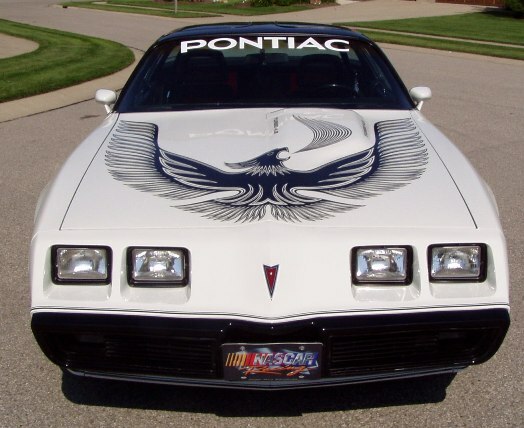 The 1980 Pace Car came with custom leather and hobanil interior with embroidered birds on the doors and seats. The 1981 Y85 NASCAR Pace Car Turbo Trans Am paced the Daytona 500. 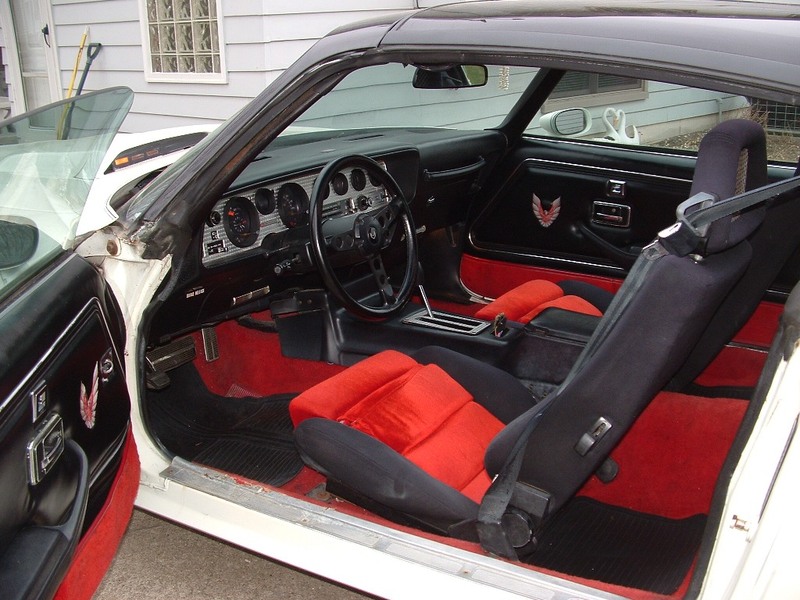 1981 had a custom Recarro interior trimmed out in red and black also with emboirdered birds on the door panels. 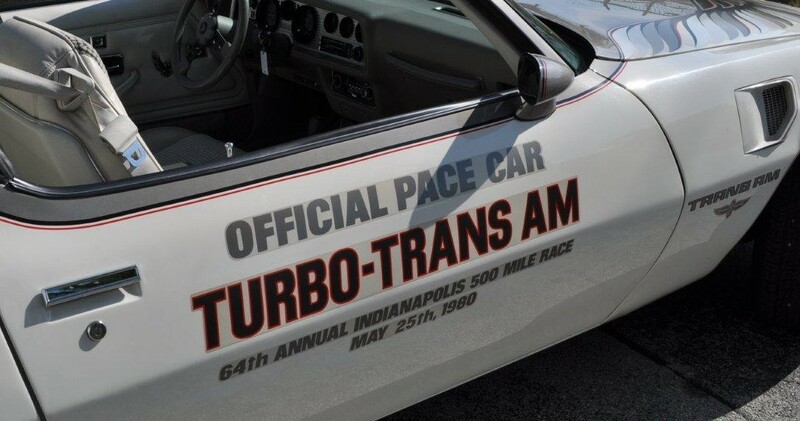 The Indy 500 race choose the 1980 Turbo Trans Am to pace the race in 1980. This was the first year that the same car paced both the Indy 500 and the Daytona 500. Pontiac made 5,700 of these cars to replicate the car used to pace The Indianapolis 500. The car came with the Turbo-charged 301 motor and was standard with the WS6 handling package set off but the 15x8 inch turbo rims finished in white. The car also came fully equipped with power windows, power locks, A/C, and more. 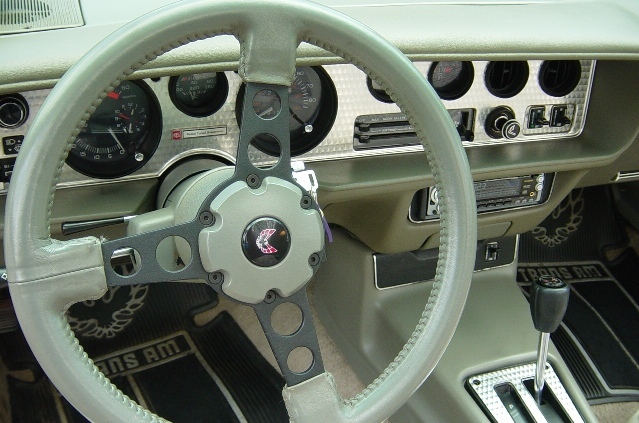 The 1980 Y85 Turbo Pace Car Trans Ams were similar to the 1979 10th Anniversary Trans Am in the paint scheme. The Pace Car had white lower body paint with charcoal upper body paint offset by a tri-color body accent stripes. The decals used were now the larger 5-color turbo hood bird and "Turbo 4.9" on the bulge on the hood designed to accommodate the turbo-charger and 3-light system for the turbo-boost. 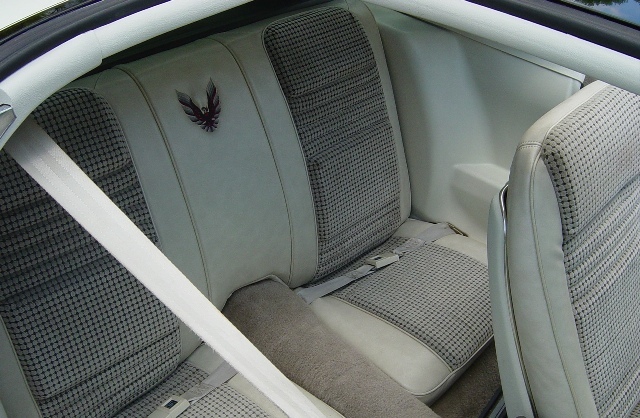 The interior was a custom Oyster vinyl seats with hobnail inserts and the bird was embroidered on the center of the rear seats and on the door panels. The rest of the interior was an Oyster white with charcoal grey dash and center console. A Special ETR AM/FM Cassette with seek-and-scan features, a digital display, and red dash lights rounded out the interior. The Indy 500 emblem was located on the side fenders and the rear tail spoilers. The optional "Indy 500 Pace Car" door decals or the "22nd Annual Daytona 500 Mile Race" door decals were an extra option. The 1981 Y85 NASCAR Pace Car Turbo Trans Am was similar to the 1980 version. There were only 2,000 of these cars made for 1981 to commemorate the Daytona 500 for 1981. The car only came with the Turbo-charged 301 motor and was standard with the WS6 handling package set off but the 15x7.5 inch turbo rims finished in white with Goodyear Polysteel Radial raised white letter tires. The car also came fully equipped with power windows, power locks, A/C, and more as did the 1980 counter-part. The white paint scheme was similar, but the charcoal paint was replaced by black as well as the body accent stripes were now all black. The larger one-color turbo hood bird was used and the paint scheme on the hood was no longer two-color, but solid white. 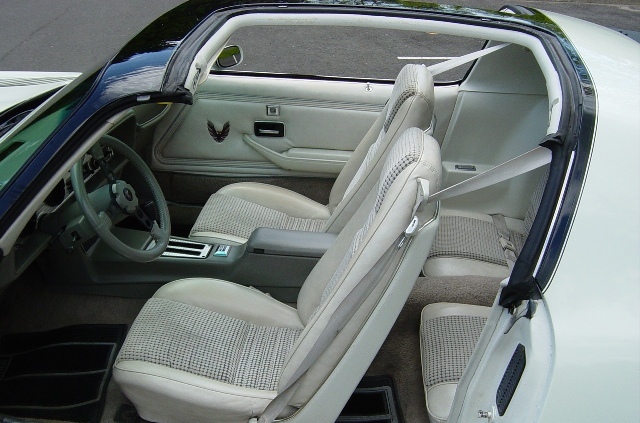 This was the first year that Pontiac used Recaro seats in the Trans Am. 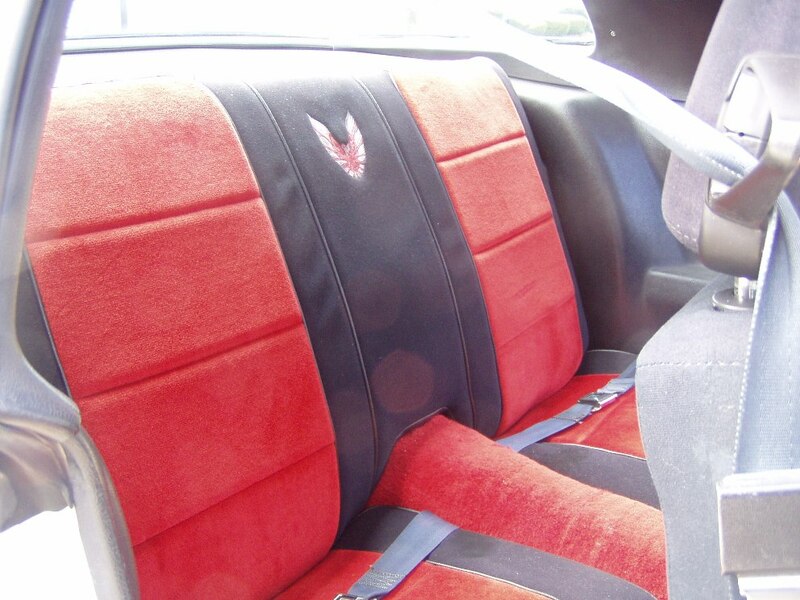 A Custom Recaro seat was used trimmed in black with red inserts and the firebird emblem was again embroidered in the center of the rear seats and the door panels. The rest of the interior was black with red carpet on the interior and on the bottom of the door panels. 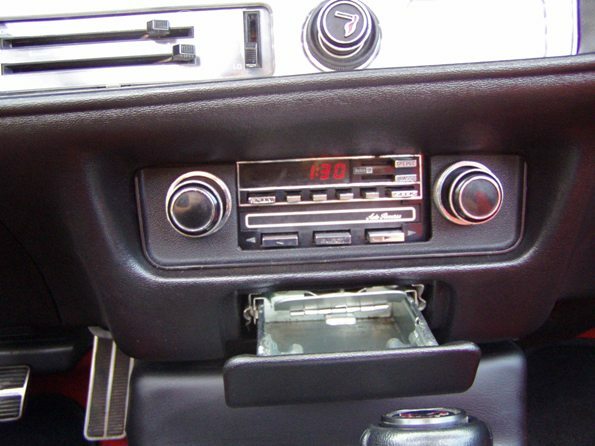 A Special ETR AM/FM Cassette with seek-and-scan features, a digital display, and red dash lights rounded out the interior as in the 1980 model. The NASCAR names replaced the Indy 500 emblems that were on the fender in 1980. Again, the larger "Daytona 500" door decals and now NASCAR rear quarter names were an option. Not the best engine, but also not the worst. If you are looking for some information on the Pontiac 301 and 301 Turbo motors, then you need to go over and check out 301 Garage (www.301garage.com). Joe is a wealth of information about these under appreciated motors used in 1980 and 1981. They have a great forum over there ytoo that you can join and learn or help out other members looking for help. Pete over at F-Body Warehouse did start a 1980 and 1981 Pace Car registry in the hopes of keeping track of how many oif these cars are still around and where they are located. Not sure if he has kept it up to date, but the page is still there. Head on over and check it out and contact him (Pace Car Registry).